6-1/2 in. 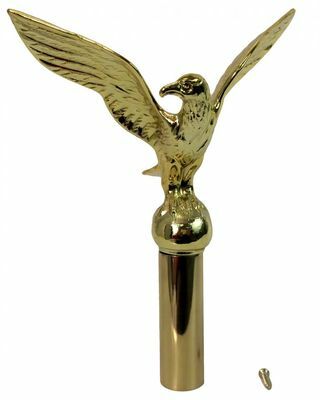 Gold metal eagle flagpole ornament (finial), made from cast aluminum with antique gold plated finish. Includes a bottom ferrule.